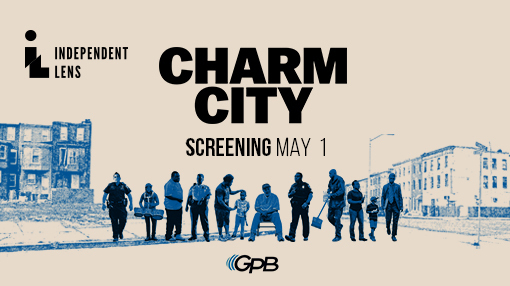 We invite you to join Independent Lens and Georgia Public Broadcasting for a screening and conversation around the film Charm City. We will be watching clips from the film and engage with leaders in the social and criminal justice space from across the nation, and hear from filmmaker Marilyn Ness. Charm City takes place in Baltimore, MD, but it tells a story that resonates in neighborhoods across the country. Atlanta represents another pocket of America where the flaws of our criminal justice system run rampant, but it is also a community that is making leaps and bounds to curing the violence that is happening in their backyards. Donna Lowry is an award-winning journalist with a passion for storytelling. She currently serves as Capitol correspondent for GPB’s Lawmakers. 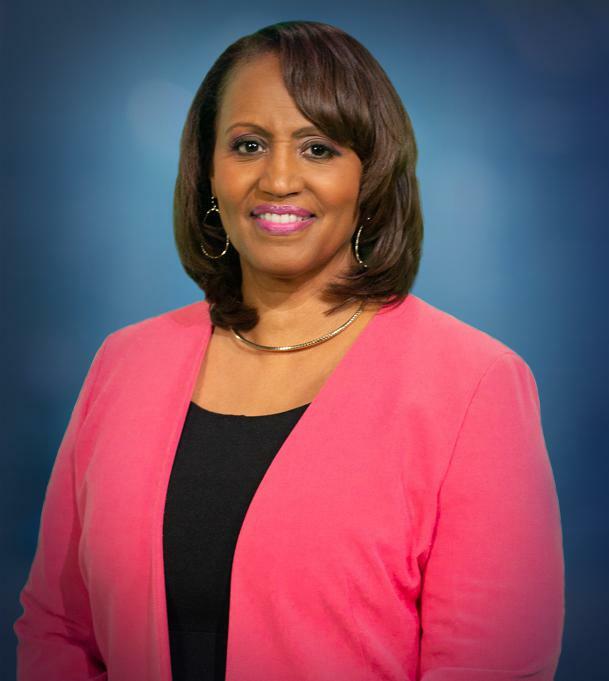 Donna spent nearly 30 years at WXIA-TV, 11Alive News, the NBC affiliate, where she created the acclaimed Class Act and Class Notes segments, which allowed her to honor hundreds of metro Atlanta teachers while giving her a unique view of education in action. Most recently, she served as chief communications officer for Fulton County Schools. She also worked as director of communications for the Cobb County School District. Both managerial positions allowed her to continue spotlighting innovative, creative and exceptional news in education. Jasmine Heiss is the director of outreach public affairs strategist for In Our Backyards, an initiative exploring the shifting geography of mass incarceration, and elevating the surprising truth that America’s highest rates of incarceration in are not in the biggest cities, but in the nation’s hundreds of smaller cities, towns and rural areas. Her work is meant to inform the public dialogue, engage new allies, and advance change in order to end mass incarceration where it begins—in all of our backyards. Jasmine previously served as the deputy director of The Coalition for Public Safety, where she helped lead the nation's largest bipartisan effort to reform the U.S. criminal justice system, and as Amnesty International USA’s senior campaigner, where she lead work on groundbreaking victories, including the passage of the country’s first reparations package for police torture survivors and the release of two of the longest held-prisoners in solitary confinement. She is a Phi Beta Kappa graduate from the University of Chicago and a proud alumna of Rockwood Leadership Institute. 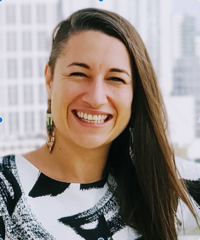 Moki Macías supported grassroots and institutional partners to design the Atlanta/Fulton County Pre-Arrest Diversion Initiative, and has served as the Executive Director since its launch in July 2017. She holds an Master's degree in City & Regional Planning from Georgia Institute of Technology, and has spent the last 15 years engaged in community organizing, engagement and advocacy related to criminal justice reform and community development. Moki started her career supporting homeless advocacy and services in the Tenderloin district of San Francisco, and brings participatory planning, coalition building and organizational development experience through her work at the Southern Center for Human Rights, the Annie E. Casey Foundation, Building Locally to Organize for Community Safety (BLOCS), and consulting for non-profits and local government. Originally from New Mexico, she is a queer femme mama to two awesome kids. Raquel has been with the Innocence Project since 2011. She graduated from the University of Nevada, Las Vegas and received her Juris Doctorate from California Western School of Law. Before joining the Project, Raquel worked with private criminal defense and civil plaintiffs firms in Southern California. Raquel also found time to continue coaching gymnastics which was her first passion before helping the wrongfully convicted. 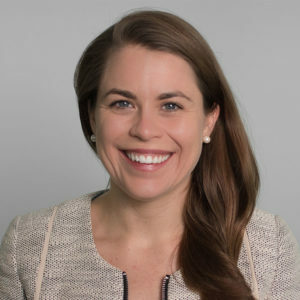 In her dual roles at the Project, Raquel is responsible for supervising pro bono law firms, lawyers, experts, and investigators who assist the Project in successfully investigating and litigating cases. 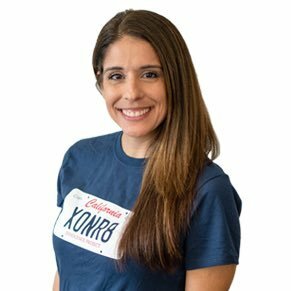 Raquel has played an integral role in the exoneration of many wrongfully convicted clients and has assisted in helping those clients receive compensation after their exoneration. Raquel is the Project’s post-conviction arson expert and has lectured to lawyers, students, and investigators on the developments and issues within the fire investigation community. Raquel’s work relating to arson cases is documented in Pulitzer Prize-winner Ed Humes’s recent book Burned. Currently, taliba serves on the Steering Committee of Circle for Justice Innovations and is the National Coordinator of Malcolm X Grassroots Movements, a national human rights organization demanding self-determination for Afrikan descendants in the United States. She works to build human rights movement in the South in the role of Amnesty International USA Southern Field Organizer. taliba has worked to create movement at Project South: Institute for the Elimination of Poverty & Genocide, National Domestic Workers Alliance, and SPARK Reproductive Justice NOW at the intersections of race, class, gender & sexuality and the criminalization of Black & Brown and other oppressed and marginalized communities.